As I was looking through my fridge last night, I noticed a lone zucchini on it’s very last leg that was just begging to be used. Since I’m heading to NYC this afternoon for the weekend (! ), last night was the night if it wasn’t going to go to waste. 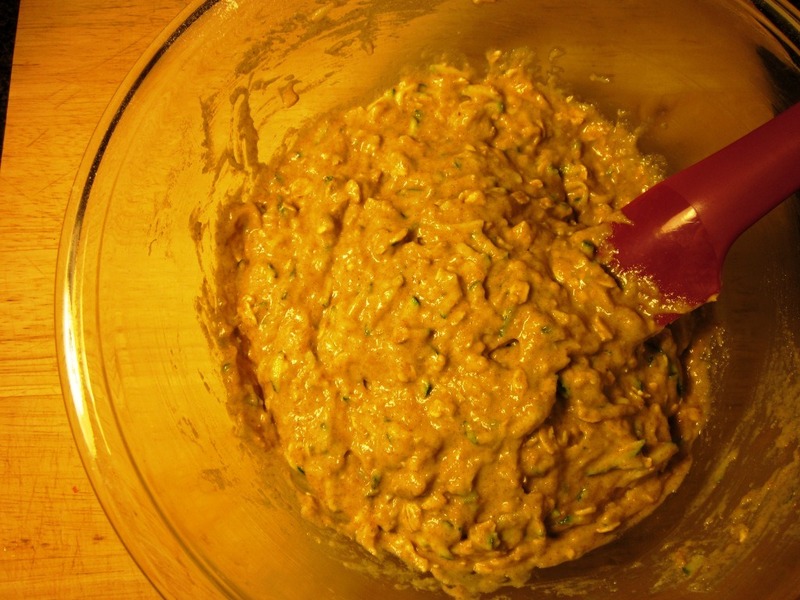 My original thought was to make zucchini bread because, though I’m not much of a baker, zucchini bread is a quick bread (no yeast) and is therefore relatively forgiving and simple. 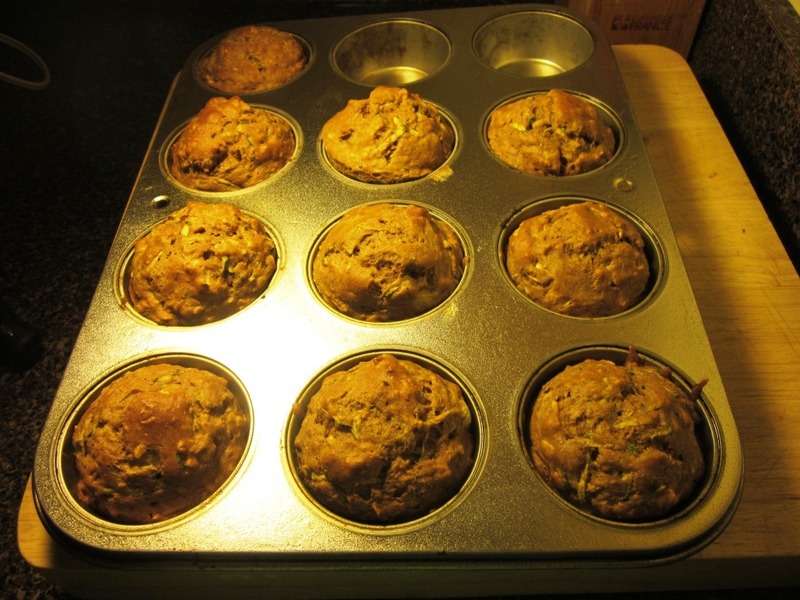 But then I realized I also had an extra banana that was starting to brown, so I was trying to figure out a way to use them both when it came to me – banana zucchini bread muffins. 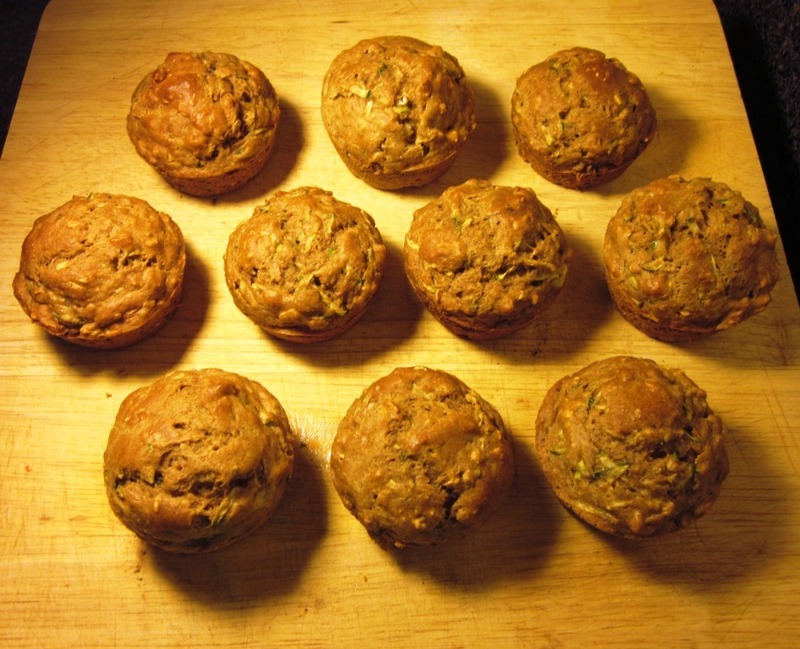 These muffins are SUPER simple to make (combine dry, combine wet, mix together, bake, done), very healthy, and completely delicious. As I said, I’m really not much of a baker, but these turned out perfectly moist, flavorful and tasty, and are by far my best baking experiment to date. Yields 10 muffins, 3 pts+ each. Printable version here. *I used baking stevia because I won it from a giveaway a while back, but feel free to use regular sugar if you don’t have any on hand. If you do use regular sugar, combine it with the wet ingredients rather than the dry in the first step, but note that the PointsPlus value will be affected. Step one – preheat your oven to 350 degrees. 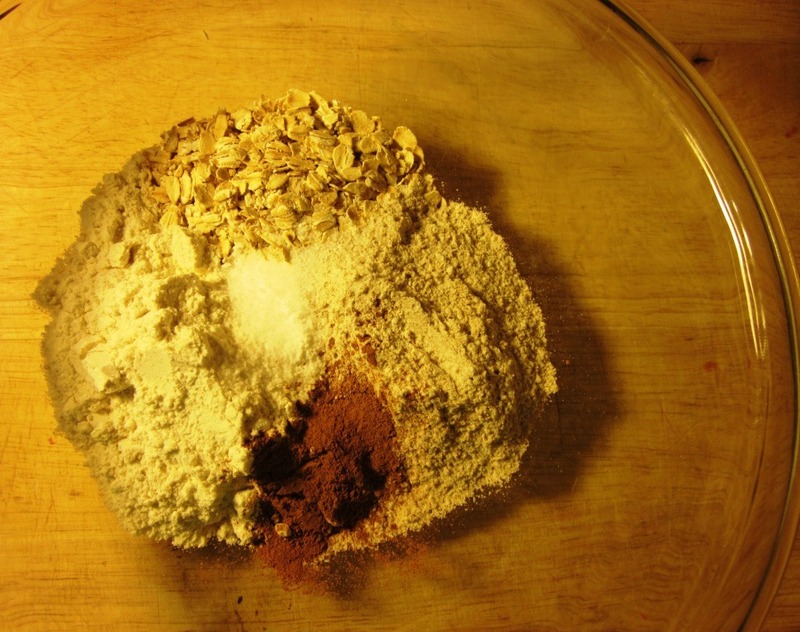 Step two – Combine all your dry ingredients in a large bowl. 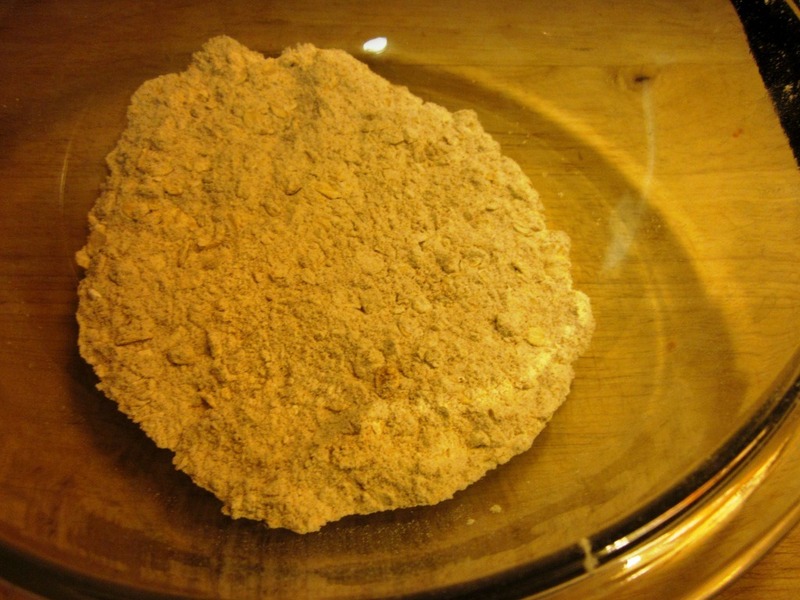 White flour, wheat flour, oats, baking soda, baking powder, salt, cinnamon, stevia. Stir ingredients together until well combined and set aside. 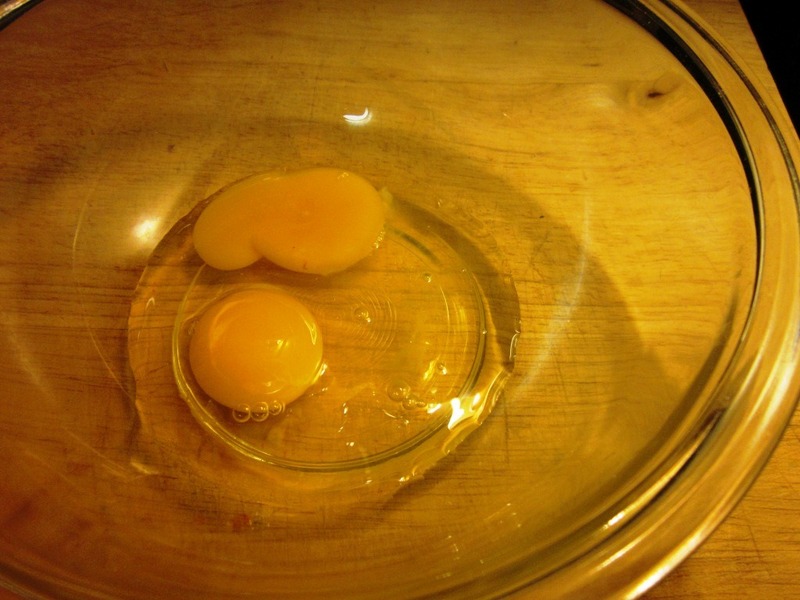 Step three – crack your two eggs into a separate bowl. Beat with a fork, and then add in the rest of your wet ingredients. 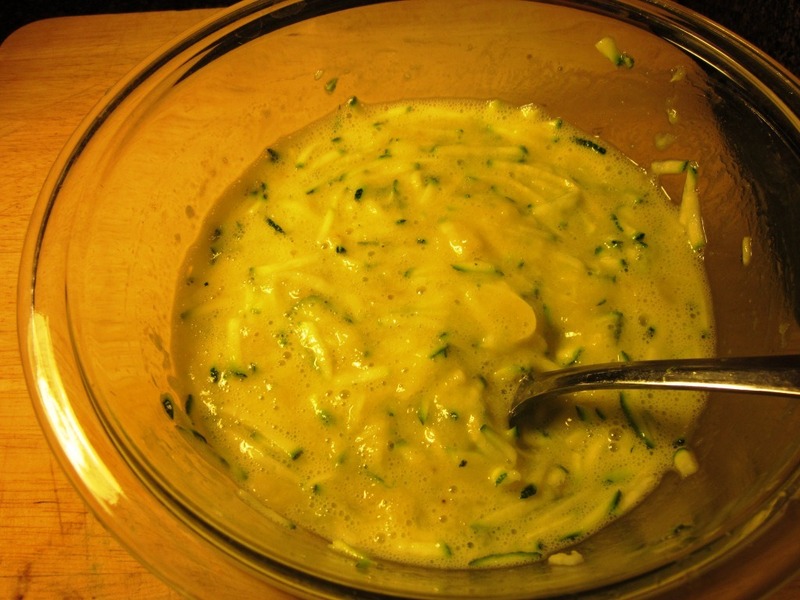 Eggs, oil, applesauce, mashed banana, zucchini shreds, almond extract. Step four – pour the wet mixture into the bowl with the dry mixture. And then – you guessed it – stir until just combined. That’s it for the batter! 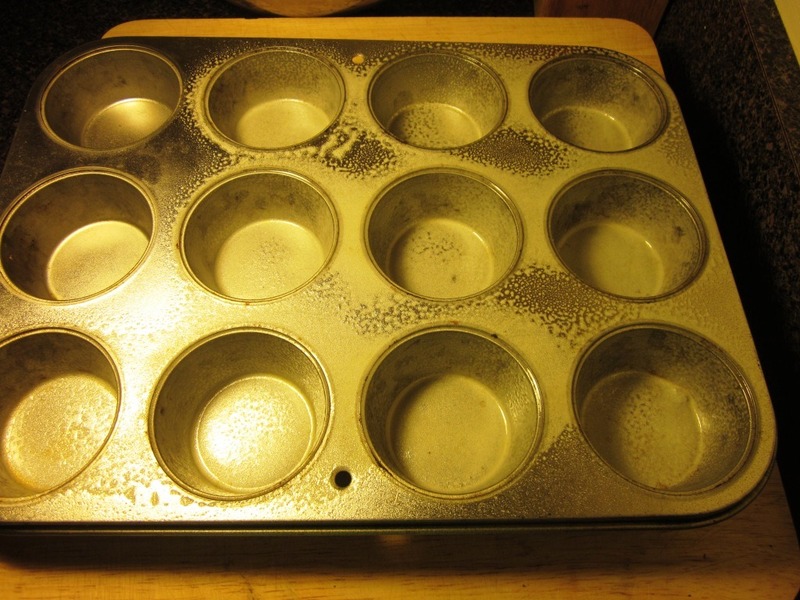 Grease 10 cups of a muffin tin with nonstick spray (or butter or oil). 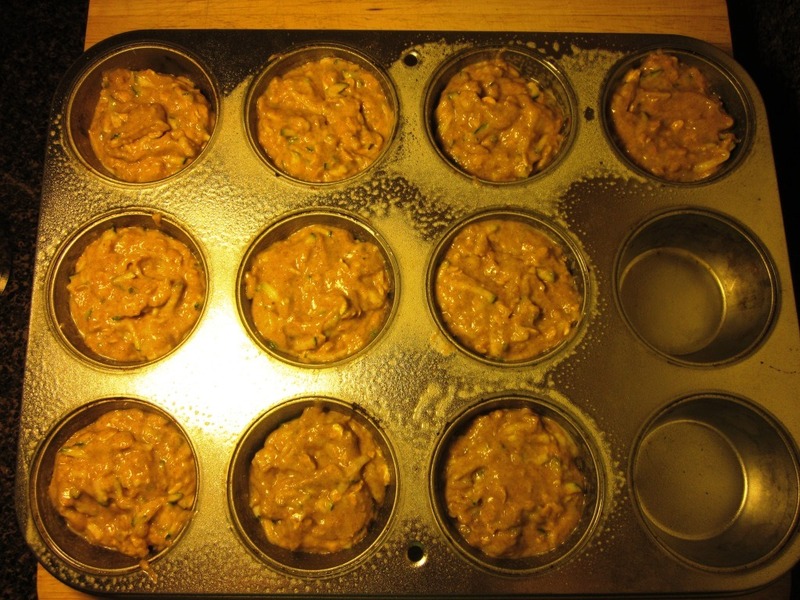 And then pour the mixture evenly between the ten muffin cups. 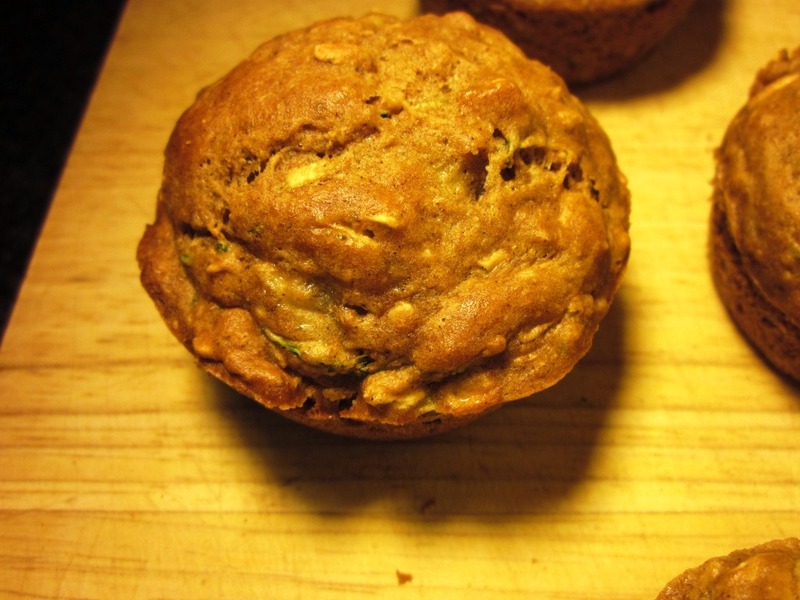 And you have delicious banana zucchini bread muffins! Let cool for about 5 minutes, and then use a butter knife to loosen from the sides if necessary and remove them from the muffin tin. I’m not gonna lie – I was a little impressed with myself for this recipe. They are seriously DELICIOUS and have the perfect texture. I wasted no time trying one to make sure they turned out as good as they smelled while baking! Feel free to experiment with different mix-ins for these – walnuts, raisins, and/or chocolate chips for example. Just note, this will obviously affect the points value. Also feel free to make this into a loaf rather than muffins. I imagine it will take 35-45 minutes to bake in loaf form, depending on the size of your pan. Just test it with a knife or toothpick to make sure it’s done. I tend to favor the muffins though just for the sake of instant portion control. Are you a fan of muffins? What is your favorite kind? To be honest, I don’t usually go for muffins, but these are an exception to the rule. If I HAD to eat one (other than these! ), I’d go for chocolate chip or banana nut. Hi Beth! Thanks for all the great recipes, I have tried a few of them and they’ve always been a success — healthy and delicious. Many itmes, I have wanted to print a recipe, but haven’t because of the format it’s in. The format is a great step-by-step tutorial, but not so printer-friendly. It would be awesome if, in addition to your regular format, there was a printer-friendly option as well, which would just list the ingredients and steps. Does this already exist and I haven’t been able to find it? If not, it would be a huge benefit, often I forget about a recipe after I read it, plus my kitchen is way too tiny to have my laptop perched anywhere while I cook – sadly. If any of your other readers are like me, people would be more apt to try out more of your recipes! Hi Kristy! There should be a link to the printable version right under the heading and above the ingredients! These look really good! When I was younger and my parents had a garden, they would grow the biggest zucchinis! My mom would make zucchini bread and muffins every week and I loved it. And I bet the banana added a nice sweetness to these too! What a great recipe.. with simple ingredients!! I am pumped for these.. have been since you tweeted about them last night! sounds like a yummy combo! 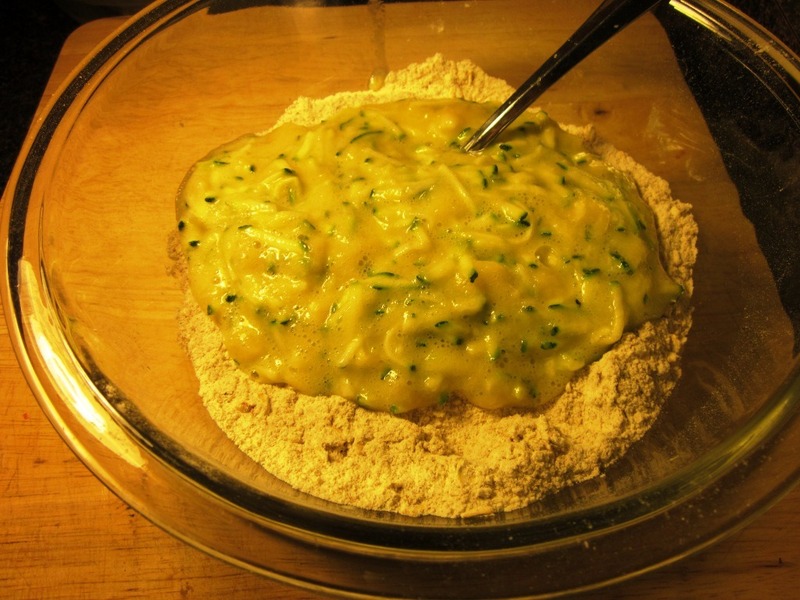 i can’t wait to make zucchini bread this summer! Muffins are like crack to me. Whole Foods has a carrot muffin that has walnuts and raisins and is so good. So good that I have been late to work because I wanted a muffin. 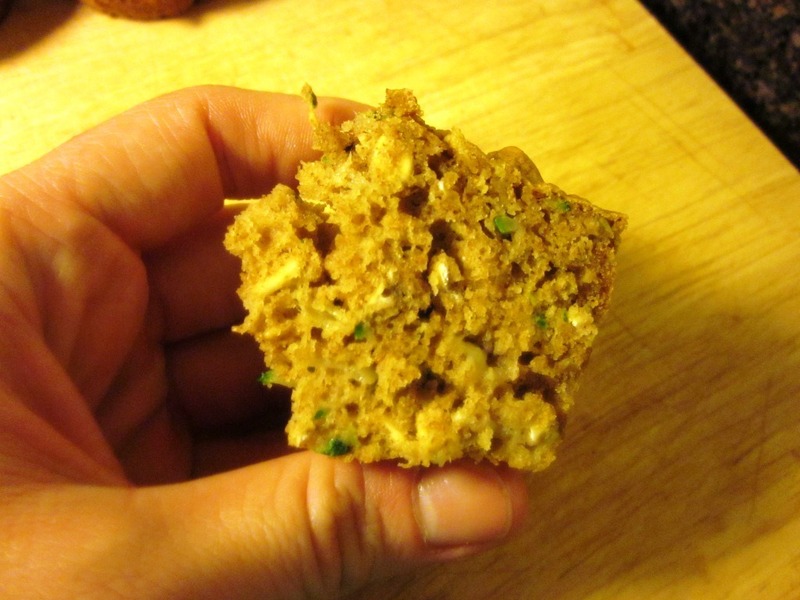 Yes, it’s made with whole wheat and has veggies and what not, but oh my god it is so good. I can’t be near them. 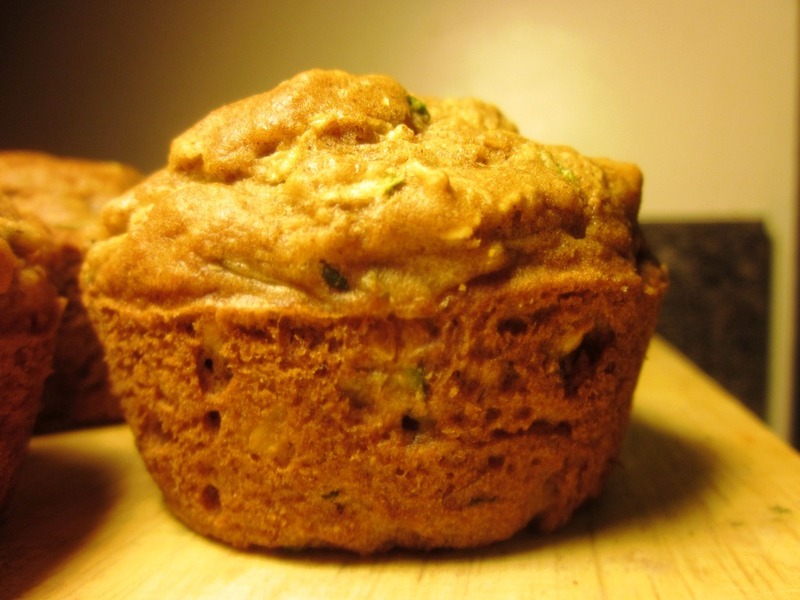 Cool – I’ve never done zucchini AND banana together in a muffin, though since they can both be used to add moisture while cutting back on fat, it’s brilliant. I wonder how these would work with peanut flour replacing some of the regular flour. Extra protein and extra yummy goodness. I’m not a huge muffin eater, but my favorites are either banana or zuchini. So this looks like muffin heaven for me! 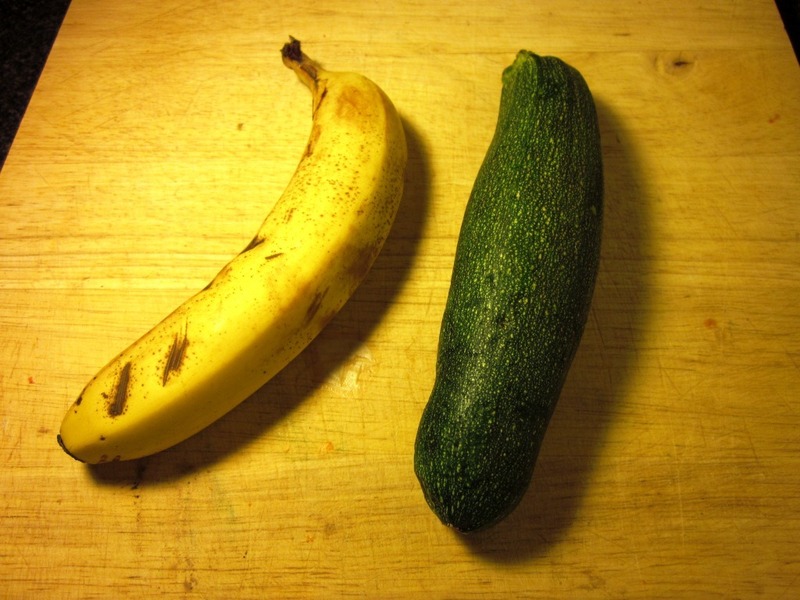 I love that these are both banana and zucchini. I love both types of muffins, so it’s awesome to combine them! Beth do you think instead of zucchini and banana that blueberries would work?? I am going to try… have a wonderful weekend…how did I miss you at fitBloggin?? you are amazing!!! Love muffins! Great for breakfast defrosted with hard boiled eggs. Looks yum. I have a lot of healthy muffin recipes. Banana AND zucchini!? Um YES PLEASE! Mmmmmm…these look delicious! I love how healthy they are too! High fiber, fruits, veggies, whole wheat, and low-sugar?! I love it! wow Beth, I wish I was at home right now and not at work. I would definitely make them right now if I had the chance. They look so delicious. That looks good! Now I want to make these…. These sound delicious. I think I might try them with almond flour. I’m sure they will work with flax eggs. So glad you and your hubby both enjoyed the zucchini burgers! Its such a fun thing to experiment with in the summer. Looks delicious! I love muffins. (Really, any bread type product, I love.) My problem is that I have a really hard time stopping at one. I love to bake muffins. Since I could easily polish off three ata time, I bag them and freeze – makes breakfast easy for a few days when I don’t have time to cook. I made these last night and they are awesome! 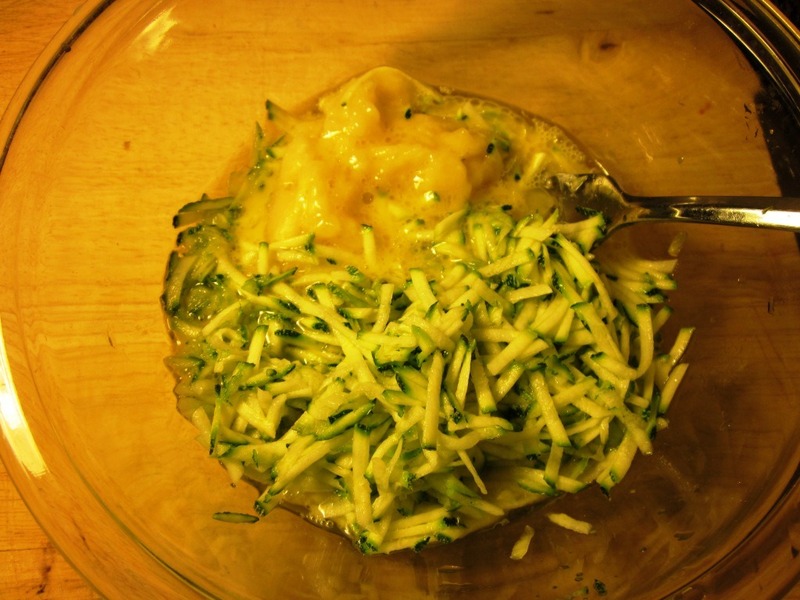 Also made the zucchini burgers and they were great too! 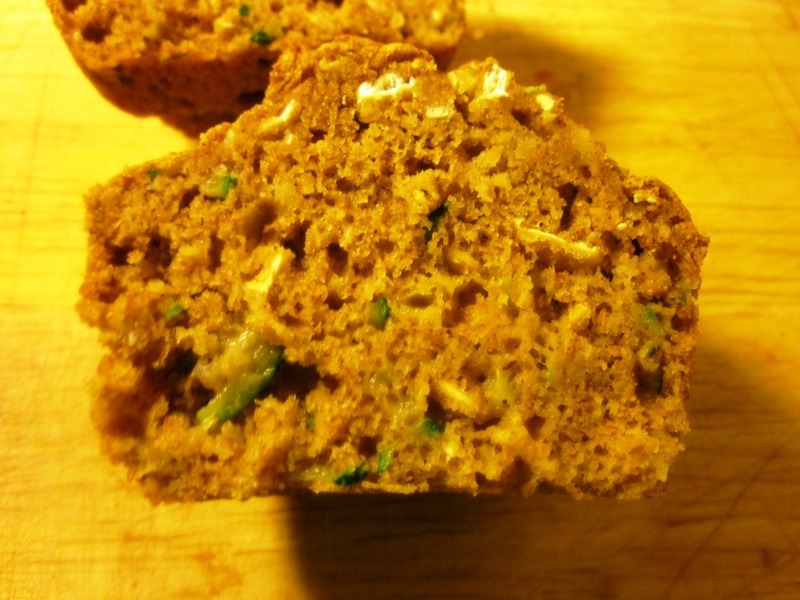 I love not to waste food and you came up with an awesome looking muffin there! I made these but I doubled the banana, used coconut oil and used an extra egg. They came out AMAZING! I made these last night and added 2 tbs flax seed, 1/4 cup wheat bran toped them with walnuts and substituted brown sugar for white. They turned out perfect, I even had to make a second batch. My kids even loved them. Thanks for such a great recipe. Very delish. I added 2 tbs flax, an extra banana, 1/2 cup nonfat greek yogurt and used coconut oil. First off, Shelley – thank you for this recipe – in a word, YUM! Secondly, thank you kokeshi doll for the idea of the bundt pan – worked great (I uploaded a picture – check it out – there’s still steam coming off the cake!) It took about 40 minutes to bake in the bundt pan and was perfect texture inside and nice-n-crusty outside. Also, thank you Gato, for the idea of vanilla, cinnamon and nutmeg – the additions were good ones although next time I’d add even more cinnamon (maybe like 2 tsp) and about 1/2 tsp nutmeg. I’m not sure the vanilla added much – I’ll try it without next time. Also, since I only had 4 bananas, I was a hair short on the 2.5 cups – I think 5 would have been right about on. Anyhow – all together it’s a keeper. Thank you!